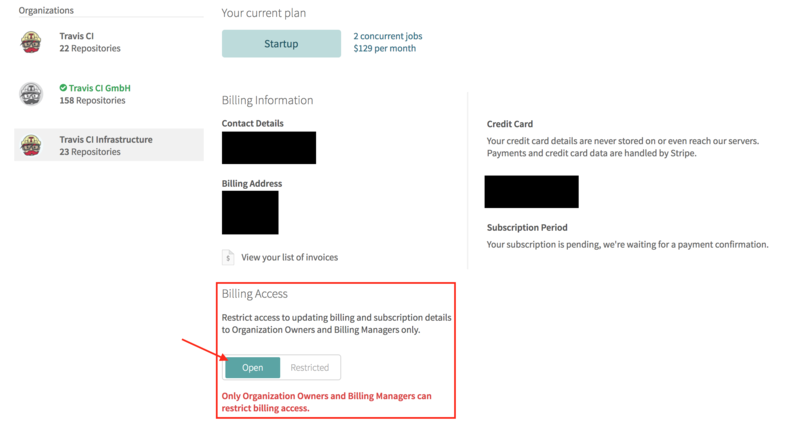 We are excited to announce that we have updated our Billing application security features to allow Customers to restrict who can access their billing information. You can now enable the same organization level security as GitHub. 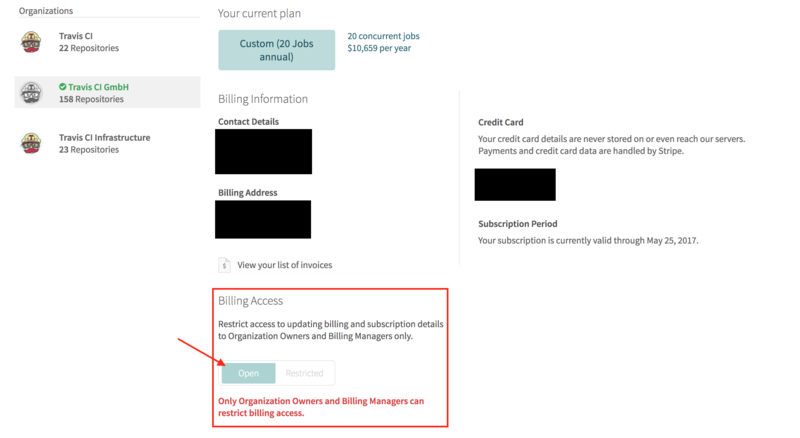 Within your GitHub Organization there are two role types that have access to the billing information for the account, ‘owner’ and ‘billing manager’. Our billing system for Travis CI can now reflect this restriction. The default for this option is ‘open’. Therefore, if you take no action, our current billing access rules will remain in effect for your Organization. Currently, anyone with admin access to at least one repository belonging to the Organization in GitHub has access to the billing information in Travis CI. If you have any questions on this change please email support@travis-ci.com.